You must sign into your myHangout account in order to contact Rick Anderson. Rick Anderson has 5 friends. 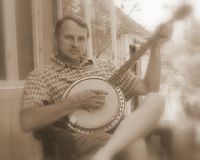 Well, I can play a mean egg shaker but I'm learning the banjo. I like nearly anything from the Osborne Brothers to The Pogues. I love puppies, slow jams, holding hands, and long walks in the sand. Oh wait, that line is for the singles website!